Intel Corp. unveiled its fourth generation processors in Taipei in a bid to give personal computers a new lease of life amid stiff competition from smartphones and tablets. Intel Corp. unveiled its fourth generation processors in Taipei on Tuesday in a bid to give personal computers a new lease of life amid stiff competition from smartphones and tablets. The US chip giant said the new processors—introduced at Computex, Asia's biggest IT trade fair—have been designed for its thin 'ultrabook' laptops to combine the performance of a PC with the mobility of a tablet. "It's (the ultrabook) a tablet when you want it, and a notebook when you need it," said Kirk Skaugen, senior vice president and general manager of Intel's PC client group. The "two-in-one" ultrabooks using the new processors will allow a 50 percent rise in battery life and also offer faster data encryption when compared to the third generation chips, he said. "This is the largest generation-over-generation gain in the company's history, equating to over nine hours of battery life for some ultrabooks based on the new processors," Skaugen said. The new chips will also allow for sharper resolution graphics and boost the speed of online games, he added. The launch of the new chips came as J.T. Wang, chairman of Taiwan's leading computer vendor Acer, pronounced the "PC is not dead". 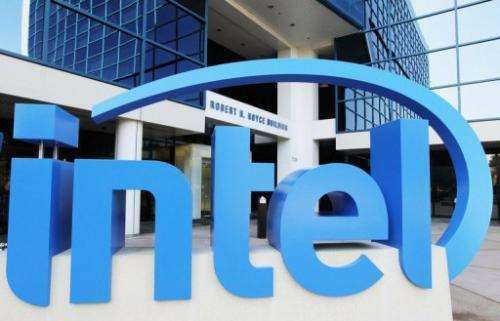 Intel, the world's biggest maker of chips for PCs, has been struggling to make inroads in the surging market for small processors for smartphones and tablets. No increase in cores, no significant increase in performance, expensive motherboards, still ddr3 in ddr2 configuration, lower power consumption, and lower performance on some multi-threaded applications. They are cluttering the market with processors just to say they released something new.